Last month, members of our forums called Vogue Germany’s Luna Bijl covers dull and basic. Thankfully, the magazine took this month’s cover shoot in an entirely different direction with a bold and colorful Miami beach shoot for June 2018 starring Othilia Simon, who continues to gain momentum in the industry. 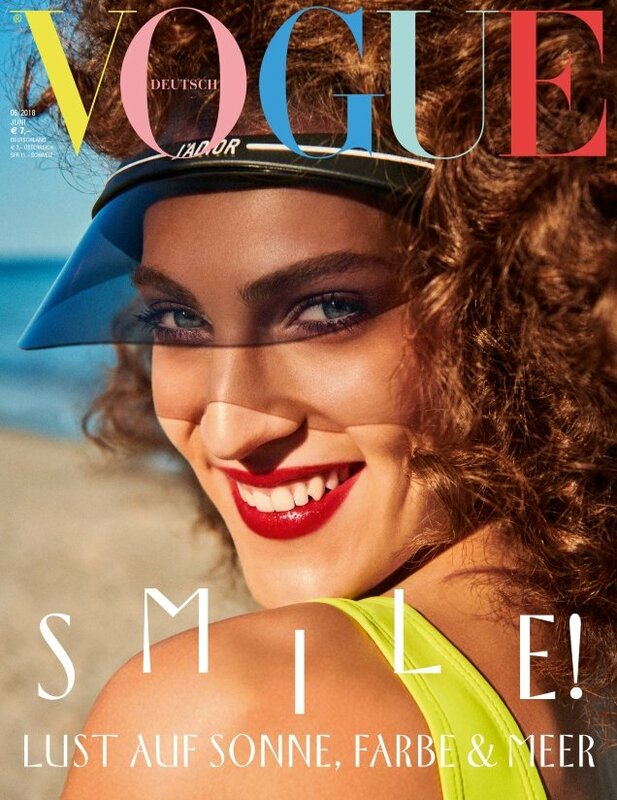 Photographed by Giampaolo Sgura and styled by Christiane Arp, the French beauty is all smiles wearing a Christian Dior sun visor in the vibrant cover image (below). Despite the magazine’s best efforts, our forum members weren’t all too fond of the outcome. “This is creeping me out. Her neck seems to be higher than her head? How is this pose even possible? Was her neck twisted? It feels like her face was merely added,” pointed out MON at once. “My only feeling for this is awkward,” MerrisaV added. “You telling me that ain’t Sarah Jessica Parker?” asked Fernini. Miss Dalloway wasn’t into it either. “I see more 70s exuberance here, its fun, but it’s not something I need from Vogue! I felt Othilia’s Vogue Ukraine and Vogue Mexico covers were so much more appealing than this,” she added. See more from Othilia’s cover shoot and join the conversation here.